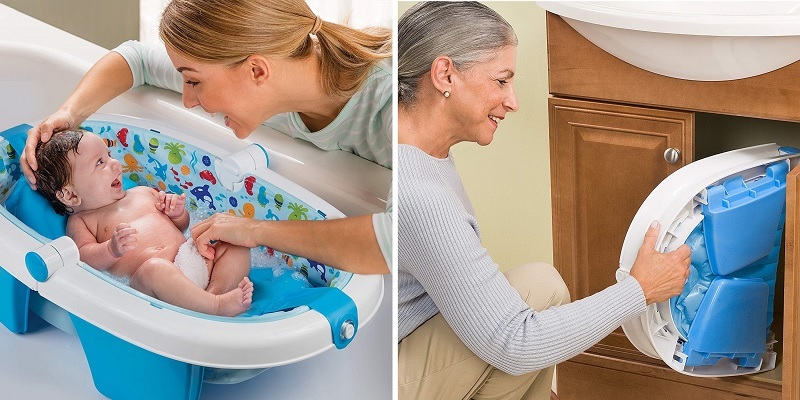 The Summer Infant Fold Away Baby Bath offers versatility and convenience for bathing your little one. The tub folds easily and compactly for storage and travel. The large tub includes an inclined positioner that can be removed as your baby grows. The inflatable base provides an extra soft, padded cushion for your little one.